MARK'S JOB HUNTING TIP #1. 'Today' and 'tomorrow' are dangerous words in e-mails. A few days ago, a prospective tenant sent me an e-mail at 1:00AM that said: "Can I see your house sometime tomorrow?" I wrote back and said: "I'm not sure what you mean by 'tomorrow.' What date did you have in mind?" When people send e-mails at night, they often use the words 'today' and 'tomorrow' as though they thought that the day begins at sunrise, even though they know that a day begins at midnight. A lot of people have missed job interviews and lost jobs simply because they used the words 'today' or 'tomorrow' ambiguously in e-mails. Don't say: "I'll see you tomorrow at 3:00." State the date. Say: "I'll see you tomorrow, Friday, June 3 at 3:00PM." Keep in mind that ISPs (Internet Service Providers) go down all the time. When they do, e-mails get delayed, sometimes for many hours. If you send someone an e-mail at 3:00PM that says 'I'll see you tomorrow', the recipient may not get your message until the following day, in which case, you will miss your appointment. Don't leave prospective employers (or anyone else) wondering what date you are talking about. It makes you look scatterbrained, and you may miss your appointment. Remember the old saying - You only get one chance to make a good first impression. 'Bedroom inflation' is a term I created to describe the practice of inflating the number of bedrooms in rental ads on Craigslist in order to make apartments seem bigger than they really are. Landlords know that the single most important factor in determining how much rent tenants will pay for an apartment is the number of bedrooms. Back in the days when tenants found apartments through rental agencies, landlords couldn't get away with bedroom inflation for very long. Landlords who deliberately overstated the number of bedrooms in their listings got blacklisted. Those rental agencies are now gone. Today, everybody goes to Craigslist to find apartments, but Craigslist does not verify the information in their listings, and landlords know it. As a result, a lot of rental ads on Craigslist inflate the number of bedrooms. You will find many Berkeley rental ads on Craigslist that say things like: "This is a 4 bedroom apartment, or 3 bedrooms with a living room." In other words, the landlord is counting the living room as a bedroom in order to make his 3 bedroom apartment look like a 4 bedroom apartment. 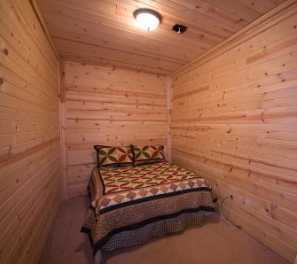 Some landlords count dining rooms, attics, unfinished basements, and garages as bedrooms; but simply putting a bed in a windowless storage shed does not make it a bedroom. Whenever I see a rental ad on Craigslist where the rent seems too good to be true, it usually turns out that the landlord has inflated the number of bedrooms. Bedroom inflation is a form of bait-and-switch advertising. The purpose is to get people to come and see an apartment who would not have come if they had known the truth. I don't play this game. My ads always accurately describe my apartments. I think bedroom inflation is unethical, and from a purely practical standpoint, it's ineffective. A prospective tenant will find out that he has been conned as soon as he inspects the apartment and sees that there aren't as many bedrooms as advertised. That just makes people angry. The goal of a rational landlord with a vacant apartment is to get someone to sign a lease. The goal is not to get someone to come over, see the apartment, and then walk out in a huff. Diacetyl may be the worst food additive in America today, and it's in hundreds of products. Diacetyl is a chemical that is used to make foods taste and smell buttery. Breathing diacetyl fumes can cause bronchiolitis obliterans, a disease commonly known as 'popcorn workers lung.' This disease is irreversible, and the only effective treatment is a lung transplant. Manufacturers of microwave popcorn have paid out over $100 million to victims of popcorn workers lung since 2002. The labor unions that represent workers in popcorn factories have tried for many years to get OSHA to issue safety regulations for the industrial use of diacetyl, but under pressure from the food processing industry, OSHA has refused to issue any regulations at all. The FDA does not require warning labels on products that contain diacetyl. Even worse, food processors are not even required to list diacetyl on their ingredients label, so most don't. 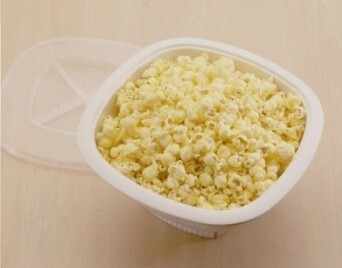 If you see the words "artificial and natural flavor" in the list of ingredients on microwave popcorn or any other product that's 'butter flavored', that usually means that it contains diacetyl. Some manufacturers of microwave popcorn have stopped putting diacetyl in their products. (I guess they got tired of paying out multi-million dollar judgments to dying workers.) My advice is - don't buy bagged microwave popcorn. Instead, buy a Nordic Ware microwave popcorn popper (Made in U.S.A.) at Target or Walmart for $8 and microwave your own popcorn. Then pour melted butter on top. There are a lot of fake butter products on the market, but none of them tastes as good as the real thing. Diacetyl is also used in candy making, but I don't buy this awful stuff. I never use artificial colors, artificial flavors, or preservatives. Have you heard - Overstock.com has purchased the naming rights to Oakland's stadium, the home of the As and the Raiders. Officially, it will be known as Overstock.com Stadium, but nearly everyone is already calling it Overstock Stadium. What a ridiculous name! The stadium was already something of a joke. Last year, the Oakland Raiders had the lowest attendance of any team in the NFL, and the Oakland As had the second lowest attendance of any team in MLB. A lot of stadiums have had lousy names at one time or another. The Ravens stadium in Baltimore was briefly known as PSINet Stadium. In 1999, PSI.net, an ISP agreed to pay a staggering $100 million for the naming rights to Baltimore's football stadium. PSI, which was never profitable, declared bankruptcy less than a year later, after which, the stadium was quickly renamed. During the late 1990s, a number of short-lived dot-coms with too much cash and no business sense paid astronomical prices for the naming rights to stadiums and arenas around the country. When they couldn't buy the naming rights, they found other ways of squandering huge sums of money. In 2000, Webvan, an internet grocery delivery service, spent millions to install 40,000 cupholders at San Francisco's Giants stadium. The cupholders, with Webvan's logo, were permanently attached to the seats. When Webvan went bankrupt a few months later, all 40,000 cupholders were removed. Jenny Craig Pavilion. This one is my favorite! At the University of San Diego, basketball and volleyball games are played at the school's beautiful Jenny Craig Pavilion. They sell food during the games, but it's all junk food and soft drinks. If you buy a 'Team Party Pack' at the Jenny Craig Pavilion, you get 20 game tickets and vouchers good for 20 hot dogs and 20 Cokes. It seems to me they should have vendors walking up and down the aisles during games shouting: "Celery sticks! Ice cold celery sticks! Get your celery sticks right here!" Where did people get the idea that school teachers are 'fat cats'? I hear the term 'fat cat school teachers' on TV all the time. If you go to Google Search and type in the words 'fat cat school teachers,' you get over 3 million results. 3 million results! In March, a Fox News commentator on the Juan Williams show said: "School teaching is a part time job. They're done at 2:30 in the afternoon, and then they're down at the mall by 3." A commentator on CNN said: "School teaching is a cushy job. They spend their summers in France while they're getting paid, and they never have to worry about getting laid off." Actually, that isn't true. Financially troubled school districts around the country have laid off tens of thousands of teachers over the past few years. School teaching is not really a part time job or a get-rich-quick scheme. I have been teaching at Orinda Intermediate School (OIS) one day a week for a couple of years now. You have to be pretty well off to live in Orinda. A typical 1960s one storey tract home with concrete slab floors in Orinda costs $1 million. Nicer houses sell for $3 to $6 million. Teachers at OIS are relatively well paid compared to other public schools in this area, but nevertheless, only one teacher at Orinda Intermediate School lives in the city of Orinda, and I believe that she inherited her house a long time ago. All the other teachers at OIS live outside the city and commute to work. You will find the same pattern in all the other wealthy cities around the bay. None of the teachers in affluent cities like Orinda live where they work. They can't afford to. You see, they're not really fat cats.